William Malcolm and 12 year NFL veteran Nate Burleson who hosts the NFL Networks Morning Football have collaborated for B LINE Bespoke Suiting. A luxury line of bespoke suit offerings catered to professional athletes all over the world. Tune in every week on the NFL Channel to see what Nate is wearing. 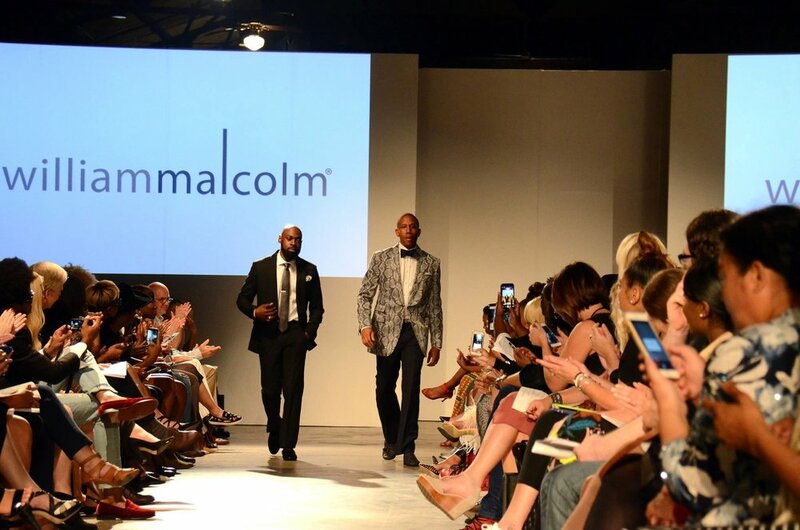 Fashion designer William Malcolm of William Malcolm Luxe Collection. Partnered with Lincoln Motor Company to design a menswear collection in inspiration of the all-new 2017 Lincoln Continental. As part of the collaboration William Malcolm Luxe Collection designed a capsule collection. That debuted at The RagTrade Runway Show in Atlanta. One of the William Malcolm Luxe Collection / Lincoln Motor Company Capsule Collection. Designs was created for Emmy nominated recording artist and actor Mali Music. William Malcolm & recording artist Mali Music. William Malcolm & recording Mali Music. Lincoln Motor Company + William Malcolm Capsule Collection. Emmy Nominated Recording artist Mali Music.